The 5 most important things about safety products. Updated 12 September 2016, Five things to look at when purchasing safety products. 1. Always ensure the Safety Products you wish to purchase are correct one for the job intended. For example dust coveralls are not suited for Asbestos use. If you are working with asbestos, you should have a complete range of safety equipment, including a respirator, gloves, boots and proper coveralls. 2. All ways ensure the Safety Product carries the Australian Standards endorsement, the standards marking will be on the product or in cases of smaller items safety glasses it will be on the packaging of the glasses. The Australian Standards are a minimum standard that equipment should expect to live up to to meet safety requirements. 3. Use the correct size and fitting safety products. Eg loose fitting or unsecured clothing can be tangled in working machinery. It’s important that your personal safety equipment fits you well to protect you the way it is designed to. 4. Always check the shelf life on safety products Eg Charcoal / Carbon filtered respirators do have a use by date, as the filtering product will break down over time. 5. Be aware planning to wear multiple safety products that they are compatible Eg wearing a safety glass may disturb the seal of a respirator. For a safe work culture it is essential to have competent trained employees with the right safety products for the tasks to be undertaken, fitted clothing, tagged equipment and control measures in place. These precautions play a large part in keeping injury free and a compliant work force and work place. Ensure that you have the right equipment for the intended job before starting the job to eliminate the risk of injury. It’s sensible really to make sure that you are well protected and work in a safe environment. To find out more about our safety products visit the shop on our website or give us a call. http://bulksafetyequipment.com.au/wp-content/uploads/2015/04/bulk-safety-equipment-logo-300x300.png 0 0 Dee http://bulksafetyequipment.com.au/wp-content/uploads/2015/04/bulk-safety-equipment-logo-300x300.png Dee2016-09-02 15:39:262016-09-12 10:00:35The 5 most important things about safety products. 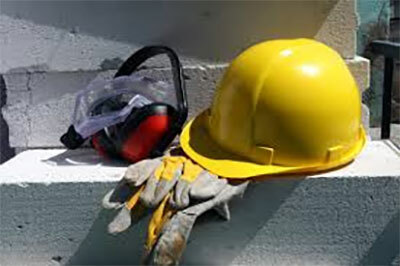 Updated 12 September 2016, If you have a specific task that requires you to work with personal protective equipment here are 5 tips to help you select the right personal protective equipment for the job, to make sure that you don’t suffer any injuries. 1. All ways ensure the Personal Protective Equipment (PPE) you choose carries the Australian Standards endorsement, the standards marking will be on the product or in cases of smaller items, disposable ear plugs the standards endorsement will be on the box they are packed in. 2. Understand to roll of your Personal Protective Equipment (PPE) for example, gloves. These should be selected for the task you will carry out. Working with steel and welding you should use the appropriate welding style of gloves to protect from possible burns or sparks. If you are working with sharp objects a cut resistant glove should be should be used. 3. A Quality product at a completive price. Remember the cheapest may not always be the best option. Because there is such a range of personal protective equipment on the market, be sure to invest properly in your safety. Sometimes people put price before quality and when it comes to protecting themselves, you shouldn’t just try to save a few dollars, you should buy personal protective equipment that is right for the job. 4. 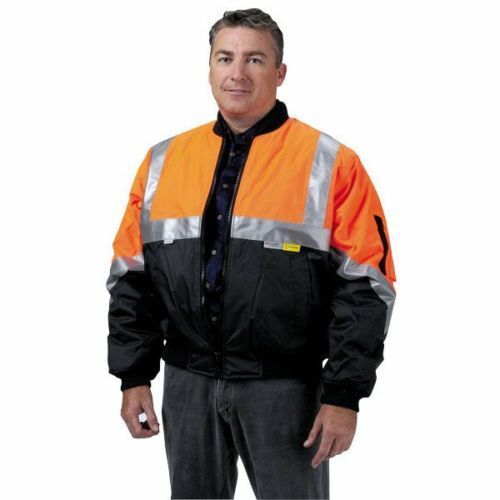 Having a supplier that will deliver your Personal Protective Equipment (PPE) fast and efficiently to any location. If you’re in a remote location, it’s possible you may not be able to visit our store, but we deliver across Australia and will get your equipment to you overnight if you need it. 5. Having a supplier with good product knowledge. Our team at Bulk Safety equipment know our stuff. We select the finest products to make sure you are well protected. Check out our range of Personal Protective Equipment (PPE) products online at our shop. How to protect your eyes with safety glasses. Last Updated 12 September 2016, If your job involves working with dust, flying objects, or particles that may strike you from in front, safety glasses are an absolute must have. Safety glasses can prevent up to 90% of work related eye injuries. So that means they are a necessity in any industry where there are airborne pollutants or dust particles that may damage your eyes. As there are many types of safety glasses you should look for the safety glass that has the best fitting. Always use Safety glasses that has the AS/NZS endorsement. Safety glasses come in several coloured finishes, a clear lens for indoors, a smoked lens for outdoors, a honey lens for dual use indoors & outdoors. For example, when a person is travelling between both areas like a fork lift operator going in and out of a Warehouse. Amber lens which is light enhancing is used in darker areas in a workshop. Remember the most expensive pair is not always the best performing and the cheapest may not be the best value, it all comes down to your application and your fitting. You should check your glasses regularly to make sure they are not cracked, scratched or damaged. They are designed to protect you from accidental injury and will not withstand repeated impact or abuse that may occur. So if they do become damaged through scratching or constant repeated impact, you should replace them. A scratched lens may become weaker and will prevent you from seeing what you are doing, so you need to take care of them so they can take care of your eyes. Check out our range of safety glasses in our store. http://bulksafetyequipment.com.au/wp-content/uploads/2015/04/bulk-safety-equipment-logo-300x300.png 0 0 Dee http://bulksafetyequipment.com.au/wp-content/uploads/2015/04/bulk-safety-equipment-logo-300x300.png Dee2016-08-10 13:06:052016-09-12 10:07:09How to protect your eyes with safety glasses. Last Update 12 August 2016, When it comes to personal safety equipment, you need to make sure you have the right equipment for the job you want to perform. Ask advice: While all Personal Safety Equipment looks the same, it doesn’t necessarily mean that it does the job correctly. For example, a P1 disposable respirator will only filter up to 60% of particles, and P2 disposable respirator will filter up to 95%. Both these filters may not suitable for chemicals. When unsure, ask the supplier and provide you with the right product and equipment required. If ordering online, call or submit an enquiry. Don’t take a gamble with your employees, especially when working with dangerous equipment or chemicals. This equipment and in many cases the packaging will be branded with an appropriate certification mark, the Australian Standard reference, and should include the name of the organisation, the date it was certified and a Certification Licence number. Be aware that not all products that claim to be certified are to an Australian standard. To be safe, look out for the Five Ticks ‘Certified Product’ Standards Mark. The AS/NZS can be searched on line for you further details. Double check all sizes: A confined space harness that may be the incorrect size for person carrying out the work, may cause serious injury or death should a fall occur. Check all sizes with employees before placing orders for products and, once they arrive, test that these fit accordingly. Manufacturers can work to different sizes, so testing the product on an individual is essential to ensuring it fits appropriately. Do you really know how the item has been used for and has it been well cared for or what the Personal Safety Equipment has been through? For example, A fall arrest harness may look fine but do you know if it has be compromised by a fall damaged through neglect or misuse. Inspect Personal Safety Equipment regularly: Some products as fall arrest equipment MUST be inspected and tagged every six months by a qualified person. Having a calendar reminder will ensure your equipment is in good working order and compliment. So for all your personal safety equipment, call Bulk Safety Equipment on 07 5477 1222 or go to our shop to find what you need.